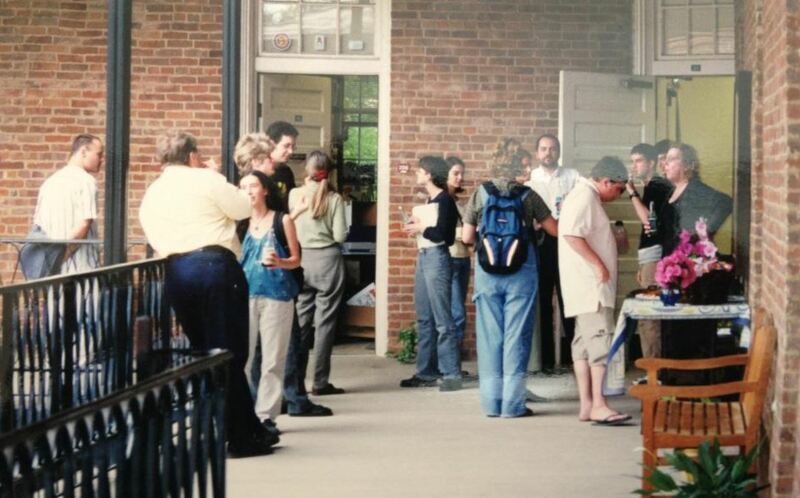 Last Friday, the Department of Religious Studies hosted its annual Honor’s Day reception on the second-floor balcony of Manly Hall. Friends and family traveled in from around the state (and nation) to celebrate award recipients. The agreeable weather, tasty food, and great company made for an ideal day to celebrate the hard work of faculty and students over the last year. Earlier in the week office workers and groundskeepers broke out the zip-ties to hang every Silverstein banner (between 2002 and 2019). 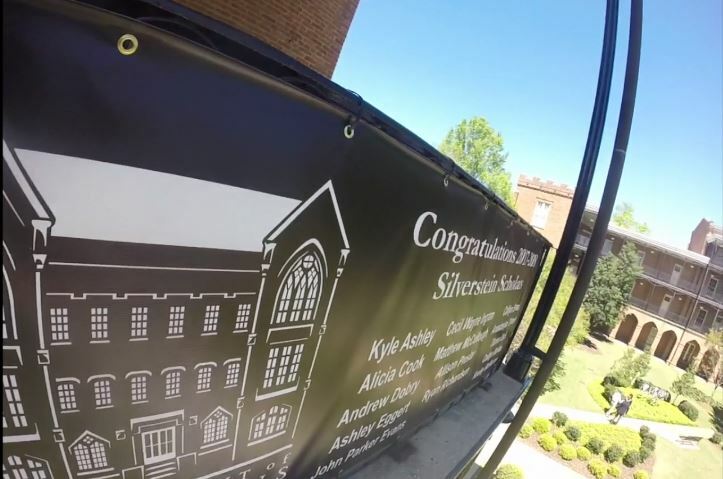 Many of the guests who were majors in the Department before graduating could find their own names listed on the railings. 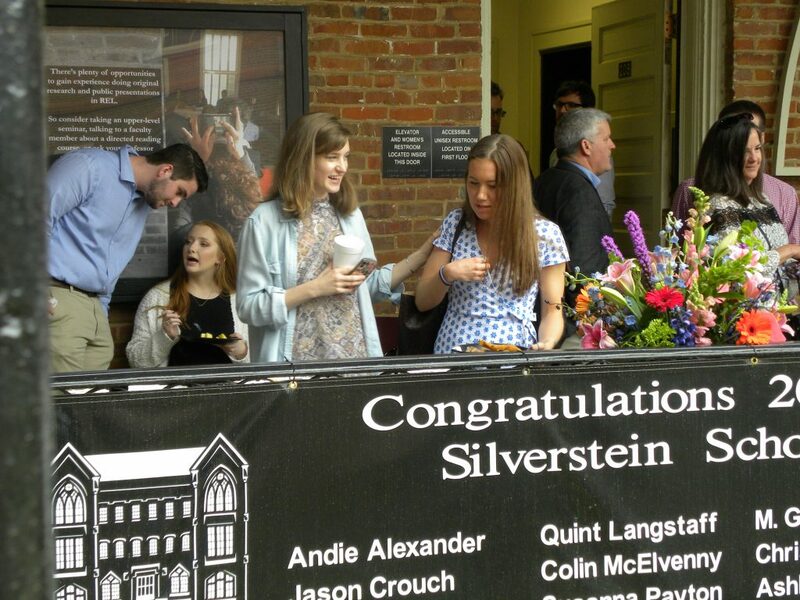 Current MA student, Sierra Lawson, and REL Senior, Ellie Cochran stand behind one of these banners to chat as they grab lunch catered by the Cypress Inn. Letters went out a week ago so it’s time to make some public announcements concerning those students receiving awards at our Honors Day celebrations this coming April. 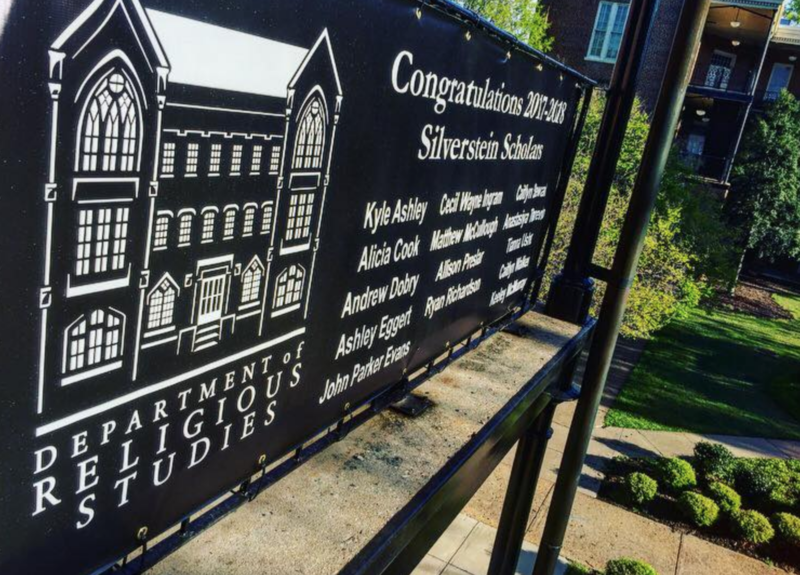 So we’re very pleased to announce that 16 REL majors and/or Judaic Studies minors are receiving this year’s Silverstein Scholars award, recognizing their accomplishment in our classes. 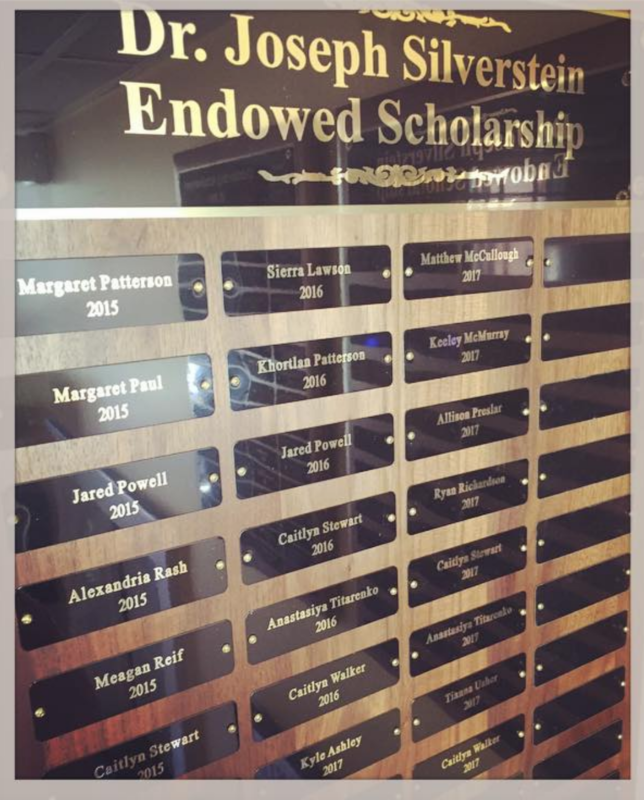 Find their names at the award link. Three B.A. 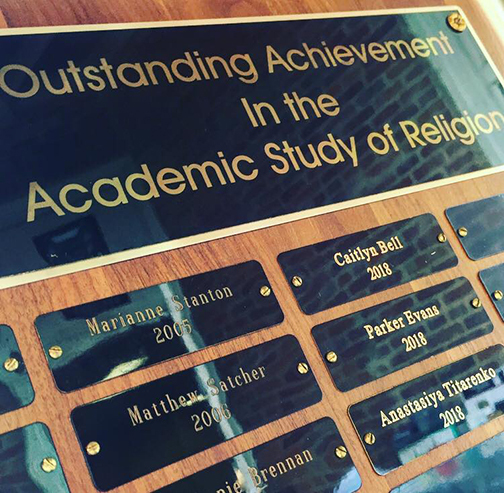 students will share the award for the Outstanding Student in the Academic Study of Religion, recognizing their overall contributions to the Department. And two graduating M.A. 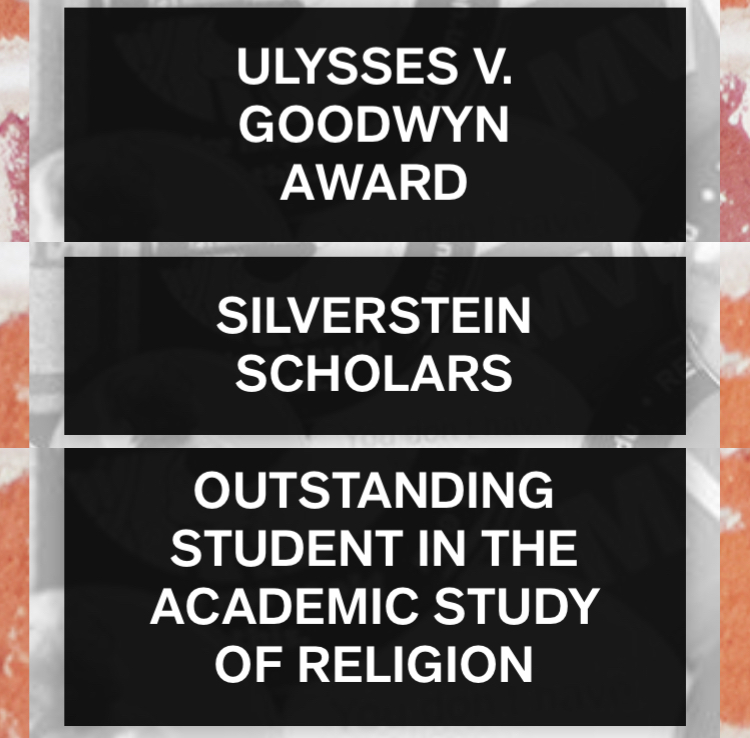 students will each share this year’s Goodwyn award. All presentations (along with a few surprises) will be made at the annual REL ceremony, on our balcony on Honors Day (Friday, April 5), beginning around noon (or immediately following the conclusion of the A&S ceremony); as always, we’ll have some good food, a few speeches, and we’re hoping to see our alums as well as all majors and minors in the Department. 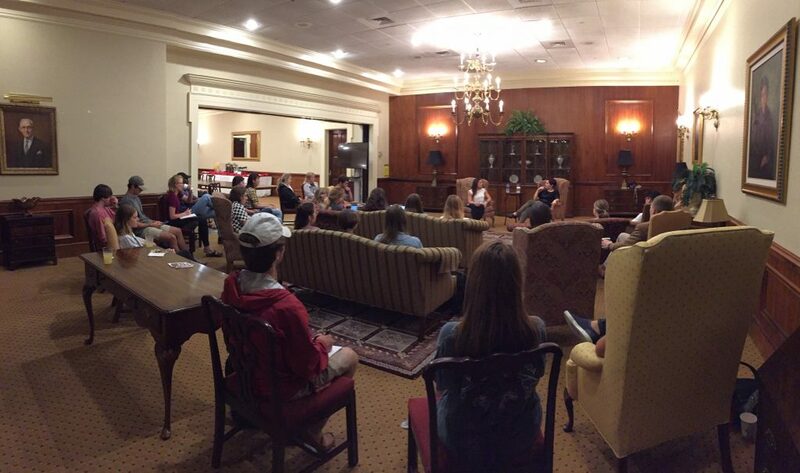 The A&S grad event is Monday April 1 @ 4 pm in the Moody Music Hall Recital Hall (where Prof. Simmons will make a presentation to our Goodwyn recipients) and the A&S undergrad event is Friday April 5 @ 10 am in the main concert hall of Moody Music Hall (where Prof. Altman will recognize our three Outstanding Student award winners). 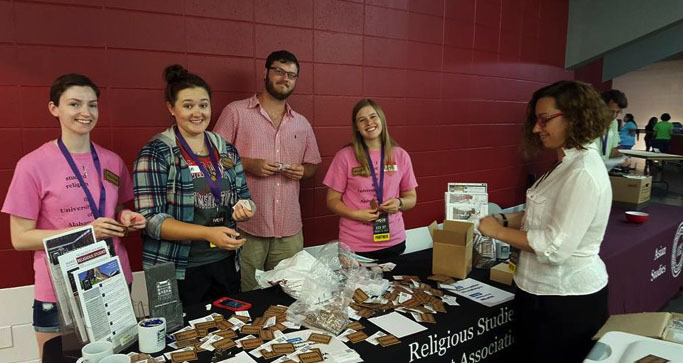 Here are some highlights from the 2015-2016 academic year. Take a look! 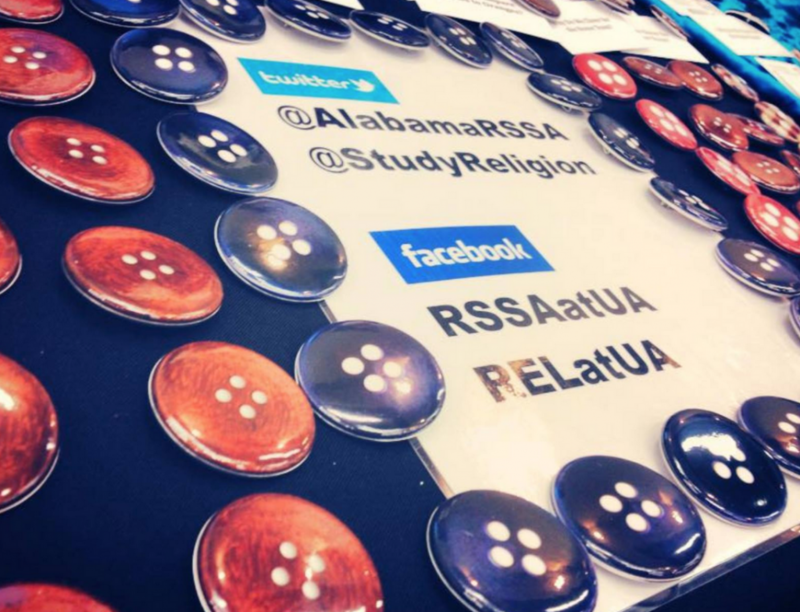 2015-2016: The Year That Was from UA Religious Studies.